I don't know if you like this idea, but I think it needs to be experimented with. 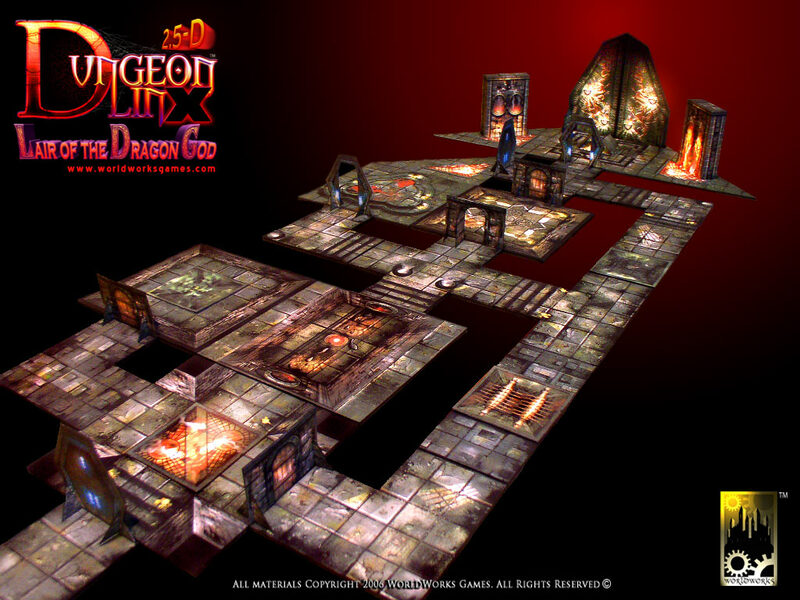 You know, Dungeon Keeper games are about the only RTS games that require claiming of tiles before the player are able to build there. In fact, I don't see the necessity to actually claim tiles at all. If the player can see the land they are building on (not in fog of war) and are able to actually run over there with building materials and build the structure, then we could say with all honesty that the enemy has very little control over that area. The player can now build buildings on unclaimed tiles. And the player can also build roads as you can see in the picture. Every tile the player build roads on becomes his, meaning that creatures that has nothing to do will patrol these roads and rooms that they lead up to. Another thing is that all land that isn't built on will have the movement speed reduced for the creatures with 40%. Roads and reinforced walls now cost stone to build. But are built instantly when the player click on the tiles. I don't know if this is what I want for the future, and it sort of goes against the current "physics" of the game. But I do know that many games have road building as an instant feature, and if it adds to the gameplay then it is a good thing. Another good thing about this is that the imps don't run of into the wilderness and start claiming tiles, which allows for a much more flat terrain without destroying the gameplay. This approach a little reminds me my second favourite game which is Dune series. There were concrete tiles where you could build your structures on, however they do not require player to place them to be able to place any kind of structure on the ground - actually they are needed to keep having your building with "full HP" without need of doing occasional repairs which are needed to be done for structures placed not on these tiles. Those were also work as the Area of Influence - you can't place anything including concrete tiles too far (let's say 3 tiles) away from the rest of the base. 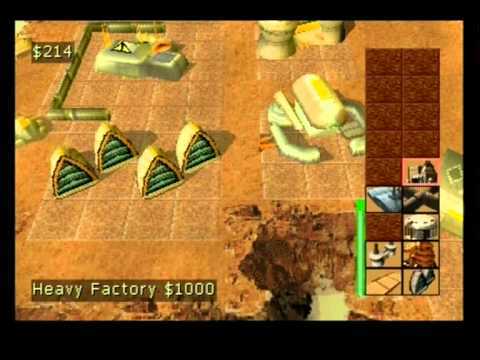 Also to make another base far away from main base (as in DK it is Dungeon Heart, in Dune it is Construction Yard) you have to build construction vehicle (MCV) and then move it to any hard ground zone where it can transform to a new Construction Yard. Regarding the new idea presented by Rasmus player will have an ability to place anything - being limited only by a territory he/she discovered - wherever it want there - so even on enemy territory if was discovered - which can be very annoying for your enemy, but in other hand everything has to be constructed by Imps that have to go there to create that construction - I see no reason to be afraid of this idea and rather to be more caution of enemy moves which can bring some more adrenaline to the gameplay. Actually there is some tactic of building shooting towers near enemy's base used in various RTS games to close enemy in its territory, sometimes it's called a Tower Rush tactic. I wonder how would it look like in Dwelvers. We can also think about the new idea in this way - rooms have their own floor/tiles, why then build any concrete tiles to place something that will replace that concrete tile right? That is an interestingly different approach. I don't mind either way, as each has their benefits and disadvantages. Would change how to go about territory though. Sounds interesting enough to try at least, as not had played that many games that used roads. Think the last one I played was Ceaser... I think. Had to build off road network in that one. 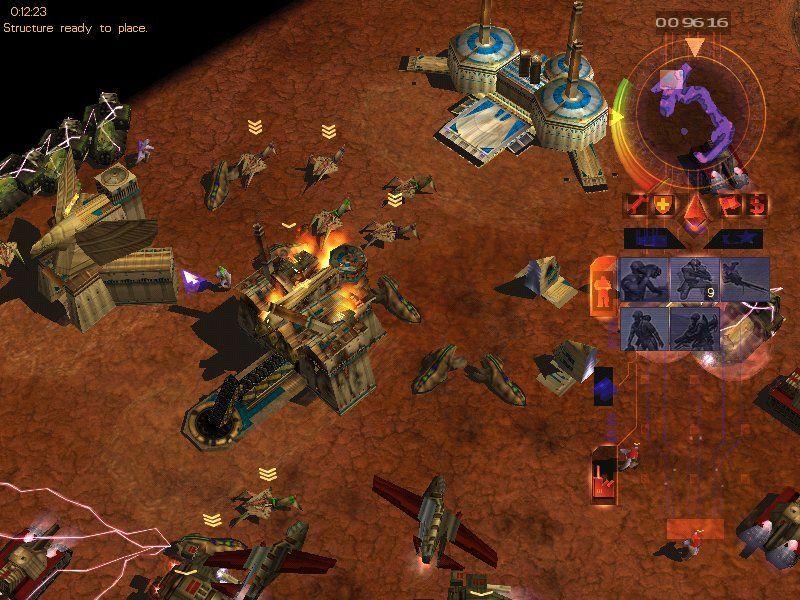 Regardless it was an RTS similar to age of empires with focus on city management set in the Roman empire era. Looking at the screenshots i can say i have few words about visuals. The very first that i see is thick, seamless layer of bricks on walls, while there is only few loose stones on the floor. Those two does not really match. I really like the look of paths - they look great in unclaimed areas, but not so good near fortified walls and rooms. Path tiles would stand out even more in dense dungeon where there would be patches of mud in corridors between smooth floors of rooms. I think there can be simple solution to this. Tiles in close distance to rooms or bit larger distance from DM (similar to C&C method sebt mentioned) would look the old way. Hovewer those more far away - both paths and walls - would have more earthy look, like paths from screens above... Or you could just make possible to apply road again on the same tile to make it more solid. Another thing is how path edges stick to neigbouring ones. Path should treat rooms as another path tile (they are already paved right? ), this would allow them to stick to rooms edges and seams of mud between path and room would be gone. Same thing about paths near stairs. Path sticks nice at the lower part where stairs base is at the same level, but at higher level path doesn't stick to stairs and leave mud seam between. Also if path run next to reinforced wall it should stick to it aswell - it looks odd when there is mud seam between stone path and stone wall. What I like about this is that it solves several problems. Having Imps tear off claiming tiles can be one more task in the way of you completing some other task. Claiming titles take up CPU/GPU cycles. Being able to walk anywhere can spread your forces too thin. What ever shall we do about parking lots on the surface? Patrols can only now be accomplished by using the Orange and Red Rally Flags in combo forming a quasi-patrol. What I don't like about this is like Ufol mentioned, it looks kinda bad in it's current state. Mud floors and the roads don't look like they belong. It may look really good this way on the surface, but here it's unappealing. I know that's something that can be remodeled, but I'm not really excited about it at the moment. If it makes an improvement in game play, then I say by all means and I'll learn to love it. hmm.... I am one to like the prior. Although would be nice to be able to select type of road. One outskirt and the other closer to dm/home. This makes look like a camo almost. Camo as in Camouflage that would be use to blend with the environment. A bit flat looking in my opinion in other words. At least in comparison to the brick floor of the dungeon claiming itself. Well that is what I see. Have to agree with Tamorr about the flatness. If you compare that to the Metalworks, the Metalworks appears to have dimension. I really think this is something you need to see in action before too much time is spent on finding the right look for it. I'm curious to see how it affects game play, and less concerned about the appearance at the moment. I think that is where the focus should be, and after it's out you can see what the general community thinks about the change. One thing that sticks out in this image is the stairs in the middle left side of the shot. One just drops off into the other, and I'm guessing these are auto generated so you can't rotate them, and even if you could, you'd have the same effect on the other side. It really doesn't look like a dungeon with a dirt floor. Wouldn't the simplest meathod be to simply make the 'stone flooring' act the same way a road does? Perhaps giving creatures some more advantages, albeit minor ones, to encourage players to pave there entire empire with stone underfoot? Maybe even simply make it so claiming underground works like building, placing 'blue prints' of the stone work flooring and only allowing one to build upon what has been paved over? You could also make it so that the stone requires to be attached to other stone, or roads, which could also be implimented, or your darkmother. Encouraging players to build out from there dark mother, building a base, and then if they wish to expand, they could build roads out to the new destination,allowing your to build multiple 'bases' connected by paths. In fact, one could make the stone work required to build on, and the roads make your imps faster, roads could even be cheaper to build, and if a road is by a stone tile, it could take on more properties of the stonework aesthetic, meaning the road would have a similar colored stone underneath it, meaning building paths in your base itself would look right. Those stairs look way better. Not the texture, as, well, still a dirt floor, but the shape of the model and how it isn't trying to do silly things when it touchs walls makes it 100 times more appealing. (05-04-2015, 04:50 AM)Davgoblin Wrote: It really doesn't look like a dungeon with a dirt floor. Wouldn't the simplest meathod be to simply make the 'stone flooring' act the same way a road does? Was trying to say that earlier - old floor would fit best. The roads from first screens would be good for faraway paths (only visual change when far from any room). So the next step on the road discussion is that BurningPet helped me create some different roads. Now we have three roads, these are: Wooden, Rock and Paved roads. At the moment the roads don't cost anything to build, it just takes time. In the future this may change. I'm not so sure about applying building techniques of surface world to underworld and as many of us agreed in coments above it's a quite difficult approach to fit road system with overall dungeon appearance Rasmus. Notice also the color pattern of the actuall walls and roads, they're too much IMO differ from each other as well as same dirt and walls. Walls could look more like made from underground materials not like medieval human castles. Actuall color patterns looks also IMO like from 90's. You are saying that you only want one road type? I was thinking about making the walls upgradeable as well, we will have simpler wooden reinforced walls as mentioned in comments above, and then two other types of walls above that (including the wall we have now). This makes the dungeon more alive because the wall and road type will somehow reflect the productivity in that part of dungeon. Right now the roads are built by the player, perhaps we will find a better technique in the future. But either way I strongly believe in having multiple numbers of roads and walls. To answer this I would need to ask you what function can have upgraded walls or roads - will upgrades just increase the same stat or each kind of the road or wall could serve for different purpose like we discussed equipment items will be not upgradeable, but each have their unique combination of properties to not waste time and resources to make upgrades? Will player be able to chose different kind of walls/roads or there will be one type of wall/road that will be upgradeable to increase the same stats? But actually I don't see problem with walls and roads functionality, but in their appearance in comparison to everything around them. In the pictures above there are almost no difference between walls, floor tiles and environment appearance. I mean that every road as any object like walls and roads to fit the surroundings/environment should fit the palette of colours of other object like rooms or even dirt, rock tiles of any kind - the whole dungeon theme (like UfoL, Mello Tonin and DavGoblin noticed unbalancement in colors and shape of the walls and roads too). You may had read comments of people when they sent you feedback about walls and their appearance as well as here about road appearance - everyone agreed with fitting better walls, tiles to dungeon theme, its environment. Lookin back at what Ufol posted with the different wall types, and seein that last screenshot Rasmus posted, I would be interested to see a shot with a wood road and wood wall similar to the picture below, but dirt where the rocks are. The next upgrade would fill in the dirt area with stone showing a visible reinforcement and the stone tile roads on dirt or gravel. Finally, you would have the darker tile roads with the dirt space replaced with the current stone tile floor and match the wall upgrade to the current wall tile. The obvious benefits would be tougher walls as you improve your reinforcement, and faster travel times as the roads improve. It could also show your level of progress so as your dungeon improves, so does its appearance. Current time: 26-04-2019, 02:10 PM Powered By MyBB, © 2002-2019 MyBB Group.